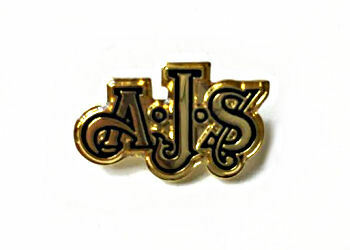 Gold plated metal A.J.S pin badge with clear enamel. 20mm wide. Supplied with two backing fasteners.